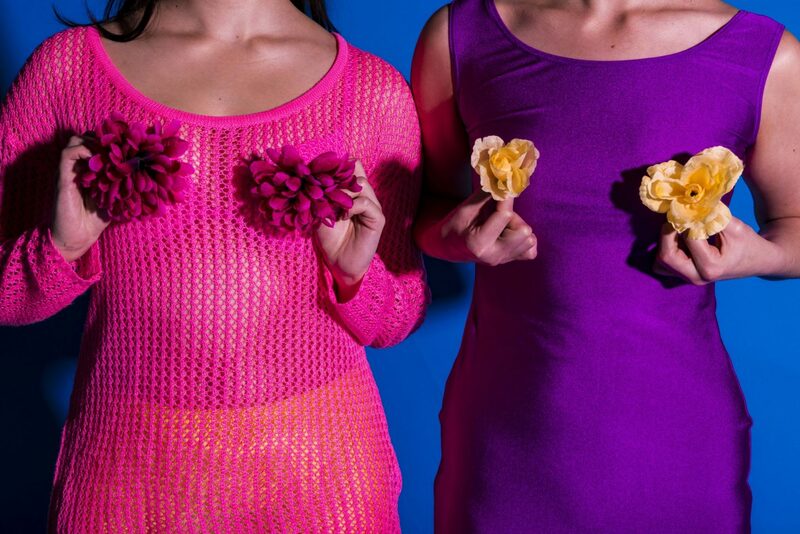 GIRLS GIRLS GIRLS is a is genre defying dance theatre parody. This side-splitting dance work explores life as a modern Australian women, parading their deepest, darkest thoughts and insecurities on stage. GIRLS GIRLS GIRLS is a darkly satirical and confronting narrative on life as a Sydney girl. It tackles current issues in our society including our obsession with body image and appearance, social media and celebrity culture, immigration, racism, and the objectification of women. We were lucky enough to be invited to take GIRLS GIRLS GIRLS to Queensland to be apart of the Anywhere Theatre Festival in May of this year. We are incredibly excited to share our work with Brisbane and Sunshine Coast audiences. It is important for us to take GIRLS GIRLS GIRLS on tour as it is a work that encourages conversation about important issues that affect our society and community. Supporting us means you will not only help us bring our work to new audiences, but you will be contributing to social change too. We have calculated the funds needed to cover the bare minimum expenses such as public liability insurance, travel, lighting and production costs. Most importantly, once we have covered expenses, all additional funds will be shared with the performers. We want to pay them for the time and energy they have given to create this work. We have big plans for taking our work around Australia and the world. We are in the process of booking additional Australian tour dates for the second half of 2018 and are looking towards dates in 2019 and beyond. Bonnie Curtis Projects is an independent dance company based in Sydney, Australia. After working as a collaborative group on several projects, we decided to create a company and work together on a regular basis. Our vision is to incorporate dance with film, installation and performance arts to explore darker elements of our human existence and topics that are thought of as taboo in our society. We want to push boundaries and encourage our audiences to question their views. Our works explore the raw emotions, experiences and thoughts that have formed our modern society. Our creations and collaborations have been featured at ImPulsTanz, Museum Moderner Kunst (Austria), Girona Film Festival (Spain), Quadstock Music Festival (US), CinéWomen|Womenartconnect (Europe), Asia International Youth Short Film Exhibition (China), Biennale of Sydney, Sydney World Film Festival, Platform Shorts and Sydney Fringe Festival (Australia). We want to say a huge thank you to everyone that has donated! Your support has made it easier for us to take our show on the road. We leave in less than one week!!! !